Every woman needs a great collection of shoes in her wardrobe, including sneakers :) Well, I started to "build" this section because I love sneakers for practicality and comfort in long busy days. Here is another pair of Nike "oceania" red this time. I wore them last week in our way at Ikea in a grey-white-red combination. 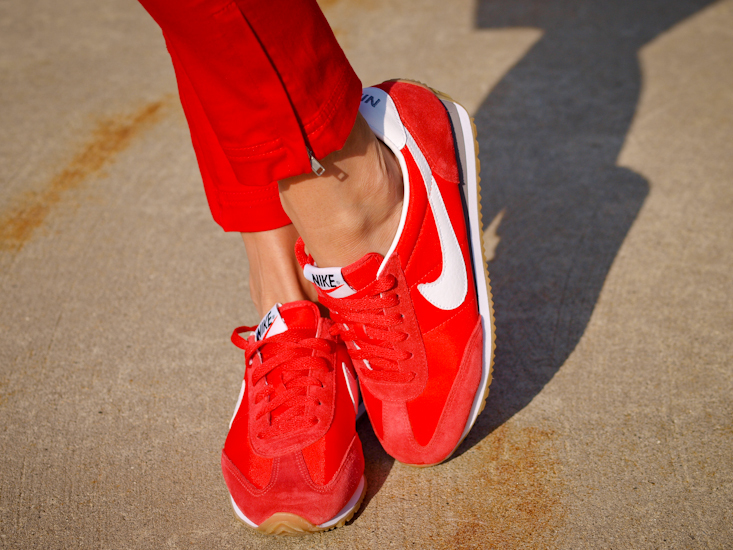 Red sneakers, red pants- why not? along with a Benetton scarf, white bag and I borrowed Bogdan's cardigan again :) total comfort! « Hello polka dot trench ! Love this the colors are amazing the pictures beautiful! I always loved the combination of red and gray. The red pants with the red sneakers is the cutest combo ever! So casual & fun, I love it! in love with this outfit! those shoes are fabulous! Love it! Just bought the sneaks in black and white. Did you see that your photo was on “They AllHateUs”…that is awesome..love that sight! i totally love this look! 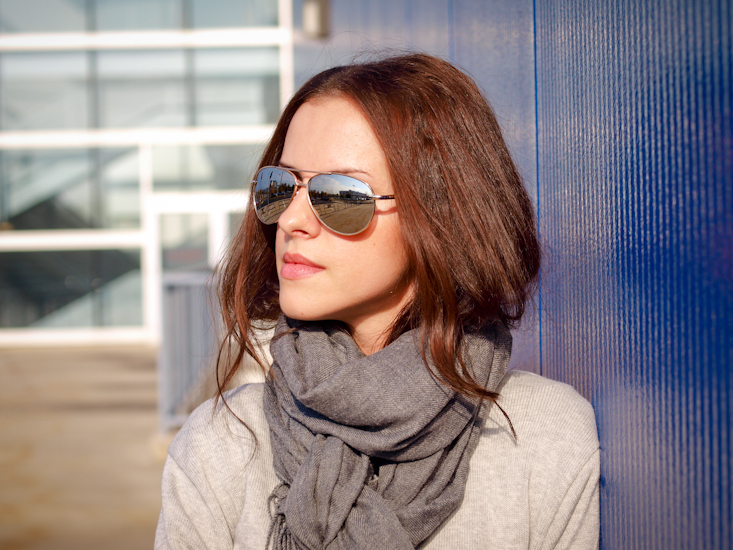 it´s both stylish and comfy which is my favourite style! loooove the bag! Wow!!! Great combination!!! I love it very much. You look stunning. Amazing post! Love the bright red! You look stunning in red Veronica!!! Love your Nike sneakers! love nike and love your blog. wooow!amazing sporty and chic at the same time outfit!gorgeous! Cute look! Loving those red pants! i love the sporty vibe of this outfit, the gray with the red is just perfect! Effortlessly chic! Love the photos, love the look! Effortless elegance in its best form my lovely Veronica!